Australia/New Zealand > Australia > Queensland > Sunshine Coast Hinterland. Near Noosa. 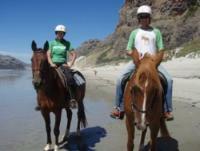 Horseback Riding Holidays for everyone at the Riding Stable in Dunedin in New Zealand!